At Portobello Dental Clinic in Dublin, we know how intimidating a visit to the dentist can seem, but with our mindful approach to ensuring your comfort, we’re confident that you’ll forget your fears and look forward to your next visit! 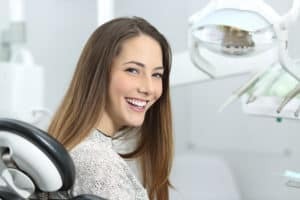 While a fear of the dentist is a common phobia, we understand that each patient’s feelings and anxieties are unique, which is why we tailor our treatment options to best help you. Using a range of methods, from Conscious Sedation to soothing headphones and display screens, we will do all we can to make you more comfortable. At Portobello Dental Clinic, we take a special interest in helping patients with dental phobias. To ease nerves before your first check-up, we promise to see you on time and never keep you waiting. During your appointment, we will take note of any concerns you may have before proceeding with treatment. Making the commitment to attend your initial appointment can be the biggest hurdle for some patients, which is why we also offer the option to book a free consultation with our treatment coordinator before attending any appointments. All our dentists are qualified with the Society for the Advancement of Anaesthesia in Dentistry, and are experienced in administering oral and IV sedation. We share the philosophy that dental treatment should be carried out as painlessly and comfortably as possible. Your concerns will be treated with respect and any anxieties managed with the utmost care. Triumph over your fear of the dentist by taking our free 7 Day eCourse today! “Overcome Your Dental Fear, Anxiety or Phobia” is a special report by Dr Helen Walsh and Dr Nick Beirne.